We had to take our son out of the local junior high and home school him for 1 1/2 years. It was a difficult decision, took an incredible amount of time and attention, but it worked out well for our child in the short and long term. Here are my thoughts about what works in home schooling, and how to promote a love of nature for Pagans and non-Pagans alike. In our situation our tall burly son had ‘gangs” beating on him (he learned about mugshots the day we confronted school administration about it); he had stopped enjoying his lessons with that and the really sub-par teaching. We decided to leave this public school, and luckily we found a regional charter home school to help us. 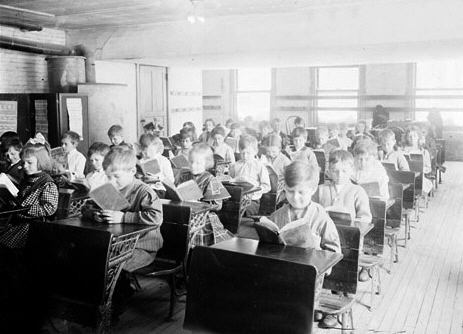 The charter school provided oversight with a teacher and classes with other children one day a week. My father was a retired junior high math and English teacher and taught in our home 2 days a week. Our son was old enough for one study day a week on his own. I arranged my full time work schedule to work with him the rest of the time. From a Druidic perspective, I taught by showing interconnections. For example, we would take walks and talk and read about how the local geology influences the size and types of plants, water flow, and on. (Guess my natural resources degree shows!) My father did the same with humanities and ethics, and when your child is older there are wonderful books that combine history, science, and ethics. (My father and son designed and grew a labyrinth as his 8th grade project; my parents are so wonderful! The project involved historical research and quite a bit of math.) Every family has knowledge that can enhance lessons- whether working on motors (physics and material sciences), growing plants (biology), art, music, and more. Teach about the source of the materials, resources, or inspirations necessary for these activities or hobbies. Social activities can be difficult to find when homeschooling. Look into activities your child can do with others their age, such as sports (we did martial arts together), music groups, etc. (In particular I believe every girl should have some martial arts training. It’s excellent for discipline at any age, and many martial arts forms are very spiritual in their focus.) See if there are play groups for home schooled kids, or parent support groups. You can get together with other parents and kids for outings to nature centers, concerts, and museums. Here is a list of the resources we used that I can still remember, and/or those that have been greatly expanded in the last few years. History of Science (On the Shoulders of Giants) book series, by Ray Spangenburg & Diane Moser Science from the ancient greeks to the 1990s. Just excellent explanations of how science developed for the junior high plus crowd.